I’m picking regularly again after taking it easy for about a month. I haven’t been getting particularly lucky though, with no real “big ticket” or otherwise mind blowing finds. 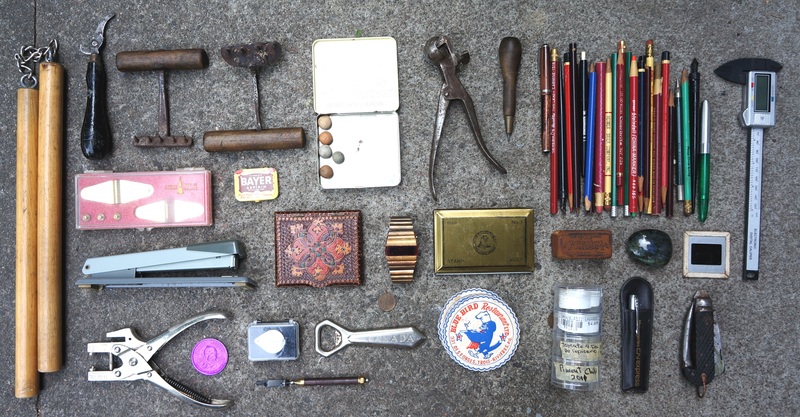 Most of my interesting (if not especially valuable) finds have come from traditionally blue collar neighbourhoods. 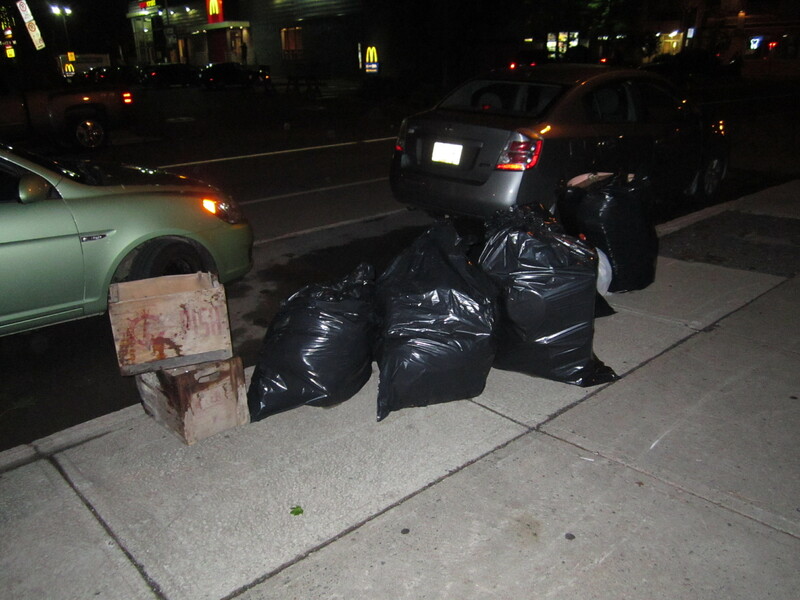 I came across this pile on Monday night in Villeray. 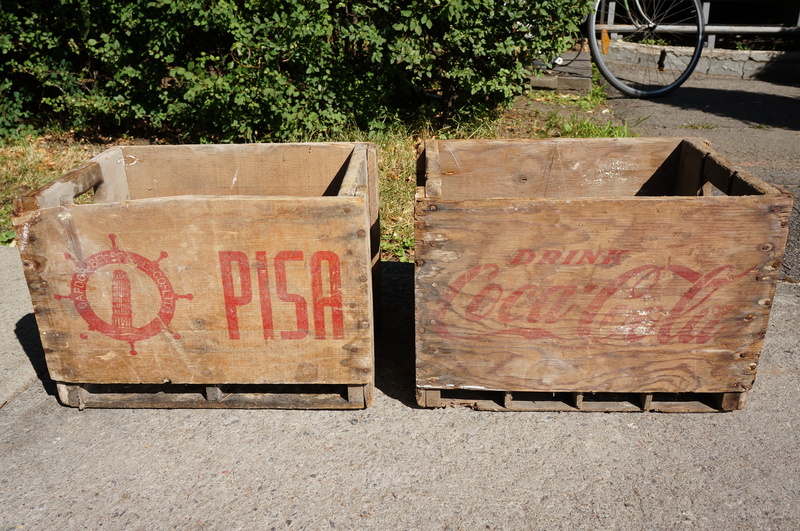 I stopped when I saw these two vintage drink crates. I’d never heard of Pisa before; apparently it was a soft drink manufactured in Montreal in the 1960s. Here’s a pic of some of the bottles that would have been in the crate. The brand seems to have been largely forgotten. 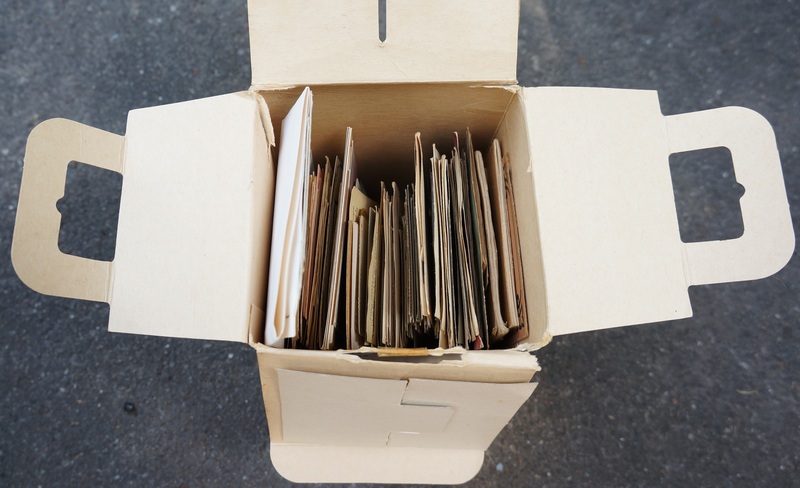 Crates like these are always popular, and I think they’ll look great after a bit of a clean. I rummaged through the nearby bags. Most of the contents were damp and musty. I’d guess that they’d been in a garage or basement. I was able to salvage a bit of neat stuff though. 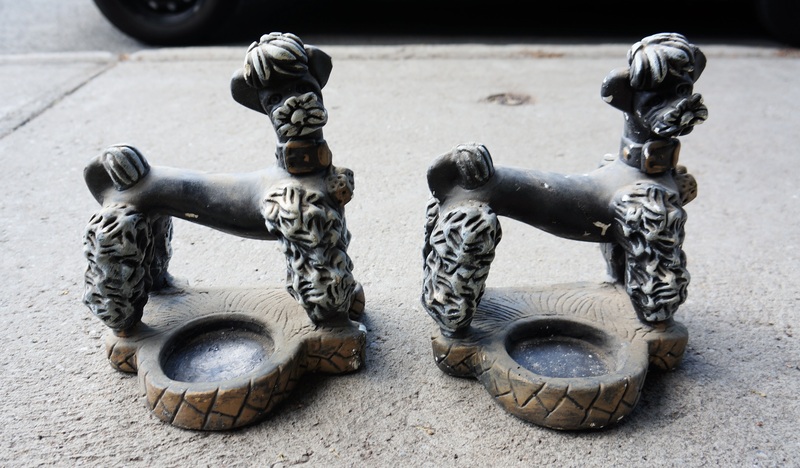 There were four large chalkware figurines that were probably made in the early 40s, two of which were these super kitschy poodle ashtrays. 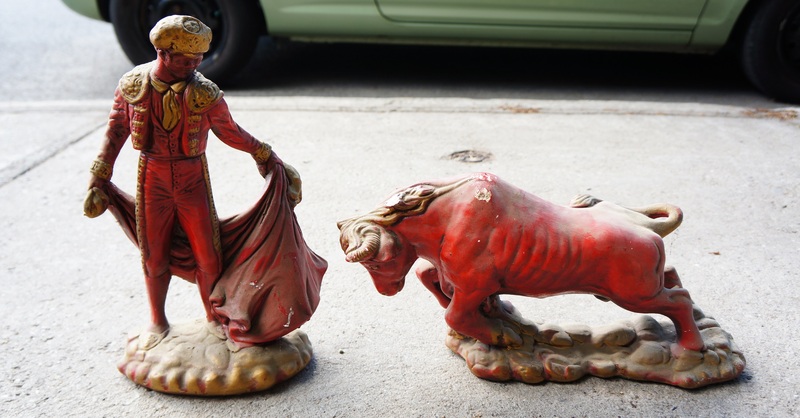 They’re actually pretty big (about a foot tall) and in surprisingly good condition – chalkware is pretty fragile and breaks easily. They look similar to this one on Etsy that sold for 35 US$, though that one was in a bit better condition. The matador and bull go together well! The bull is the most damaged of the bunch, but with a fresh coat of paint you wouldn’t really notice the imperfections. 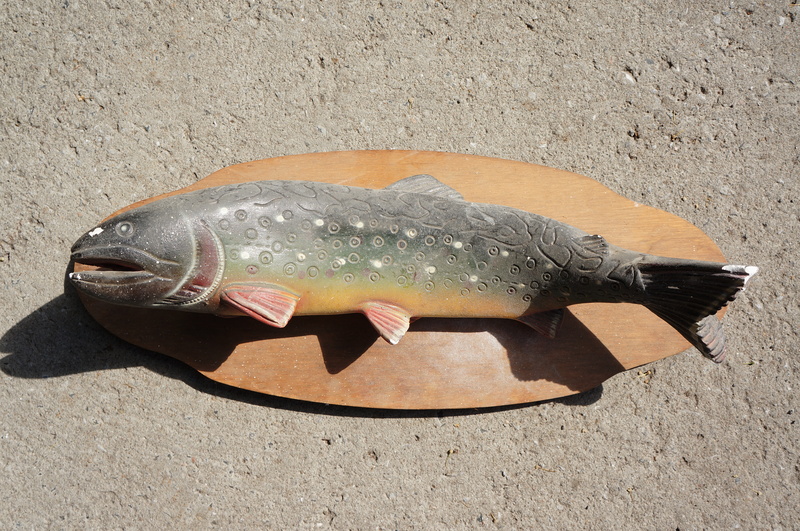 This fish is also made of plaster. I can’t find a maker’s mark on any of them, though the bottoms of the last four are all covered in a green fabric that might be covering up the signatures. 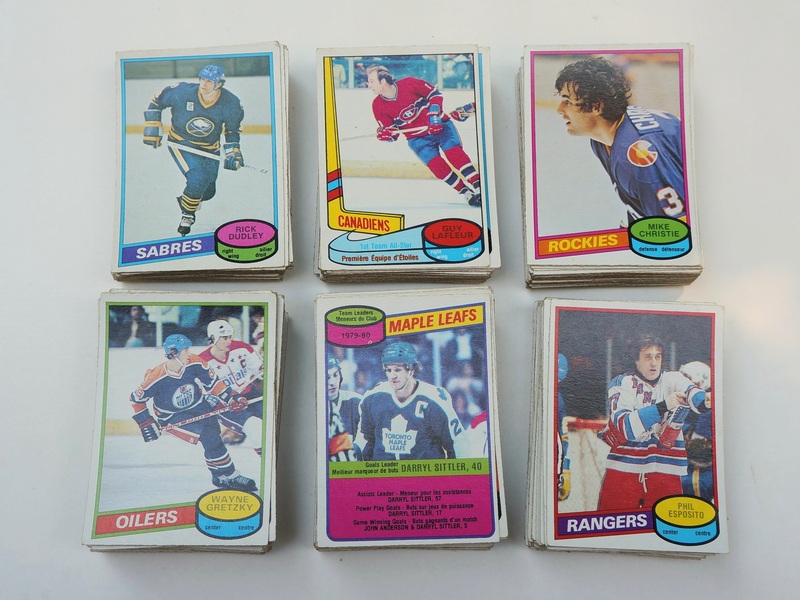 Otherwise, I saved some vintage hockey cards. They’re all from 1980 and made by O-Pee-Chee. They were a bit musty and damp, but I put them under a small but heavy box in hopes that they’ll stay flat as they dry. From my experience, damp papers will warp a bit as they dry unless you give them reason not to. They’re in pretty good condition otherwise, they just smell like basement. I’d appreciate any tips on getting rid of the smell! As for value, I’m not expecting much. 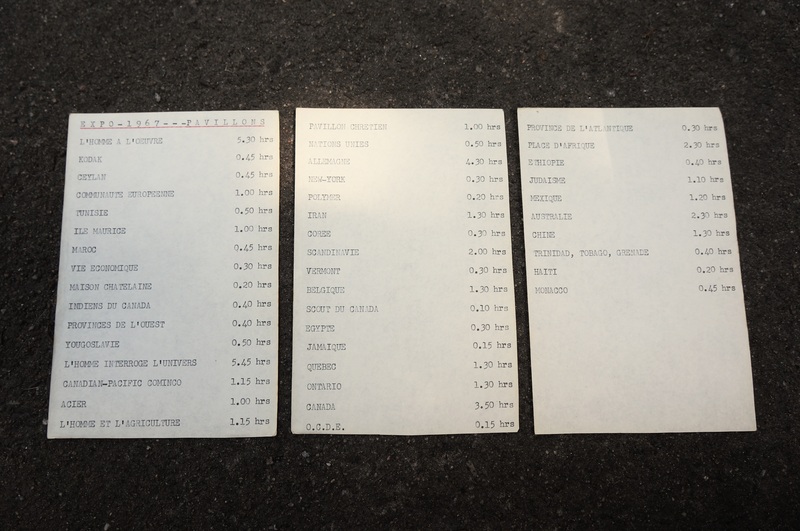 But from my limited knowledge 1980 is before (if only just) the point where sports cards became totally worthless. I’ll probably end up listing them as a lot, and we’ll see what happens. 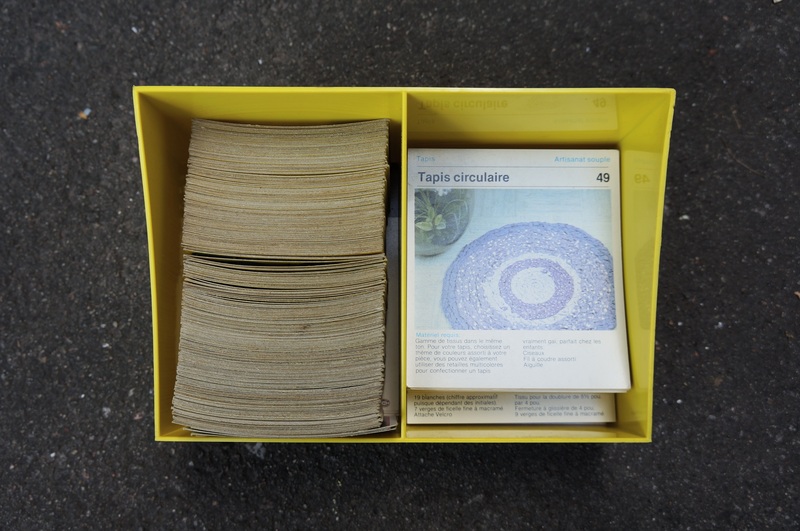 Elsewhere in Villeray I came across a VHS tape box filled with old papers. 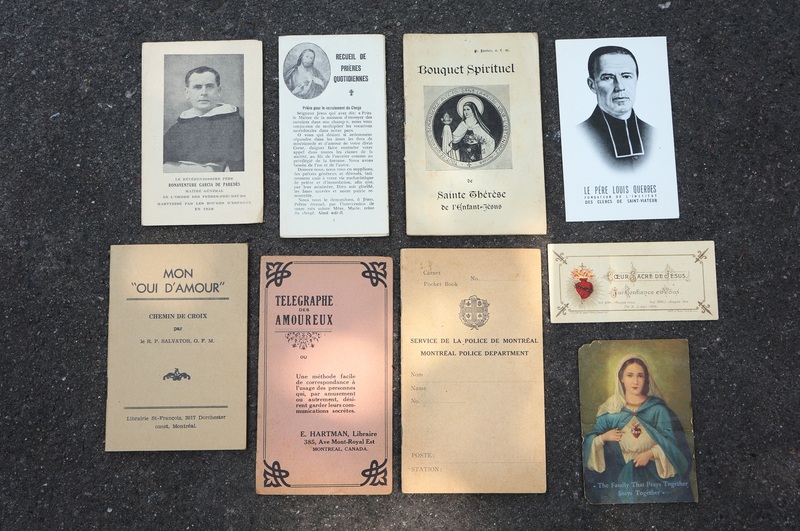 Most were Catholic prayer cards made between the 30s and 60s. There were a few miscellaneous booklets in there as well, one of which was an instruction guide on how best to communicate with your partner via telegraph. 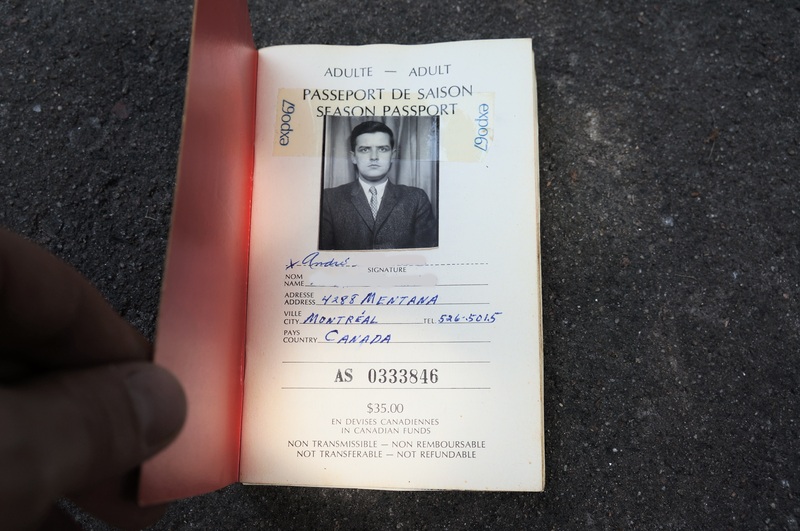 The best piece though was this Expo 67 passport. I’ve saved several of these over the years but this one is particularly nice. There are lots of stamps (87! ), and also a hand-typed itinerary that was tucked in the back. The guy had a strong attention to detail, that’s for sure. I sold one for 40$ in the past, and I expect this one could sell for around that amount. This place in Rosemont provided some odd finds. 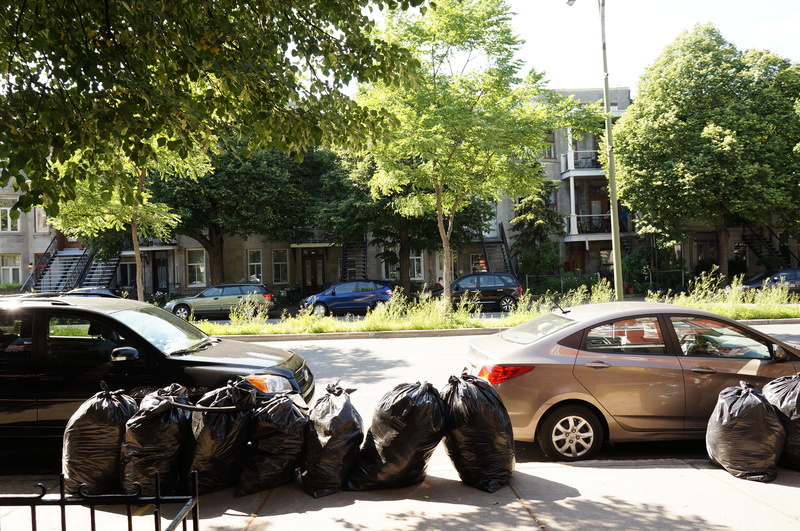 The garbage truck started clearing the street not long after I got there, so I had to throw a few bags in the car for later sorting. Inside those bags I found a sizeable collection of UFO-related documents. 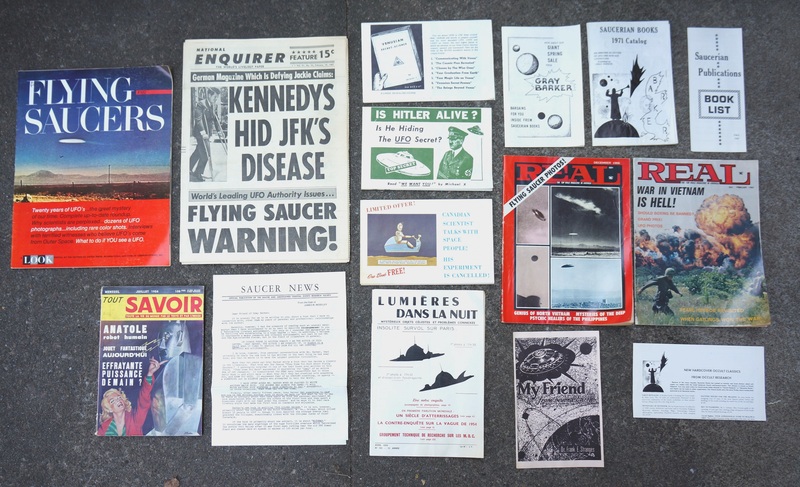 This included a 1967 National Enquirer, a copy of “Lumieres dans la nuit” (a French UFO journal) from February 1970, a copy of “Saucer News” published by the Saucer and Unexplained Celestial Events Research Society, and several book catalogs from Saucerian Books. That company was run by Gray Barker, a seminal ufologist who pretty much invented the concept of the “Men in Black.” I also found a small collection of UFO-related newspaper clippings. I’m not a UFO guy but I do find these documents interesting from a sociological perspective. I’ve also never seen anything like them before!. I expect I’ll be able to make some money here selling the collection as a lot, as there’s certainly a passionate niche market for UFO-related items. A collection of 15 UFO publications recently sold on eBay for 1300$. My stuff isn’t nearly as desirable, but I bet some collector will have an interest in it regardless. The guy seemed to have a general interest in space. 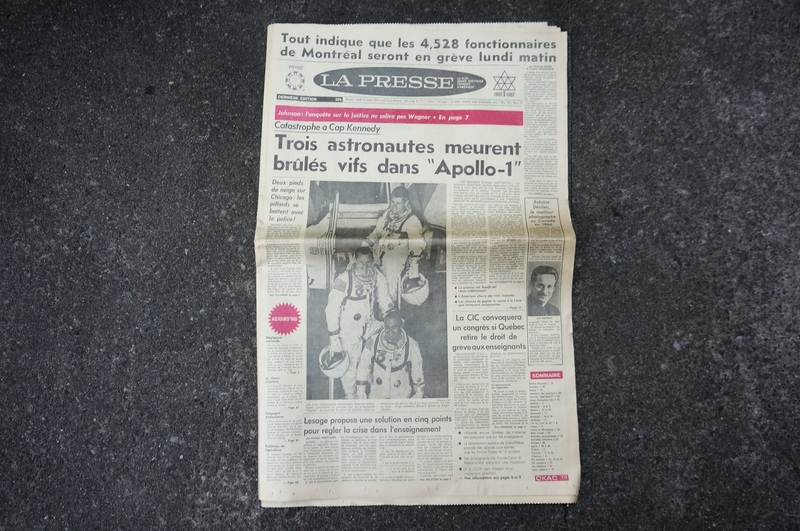 He saved the front section of La Presse from January 28, 1967, the day after the fire that killed all three crew members of the Apollo 1. 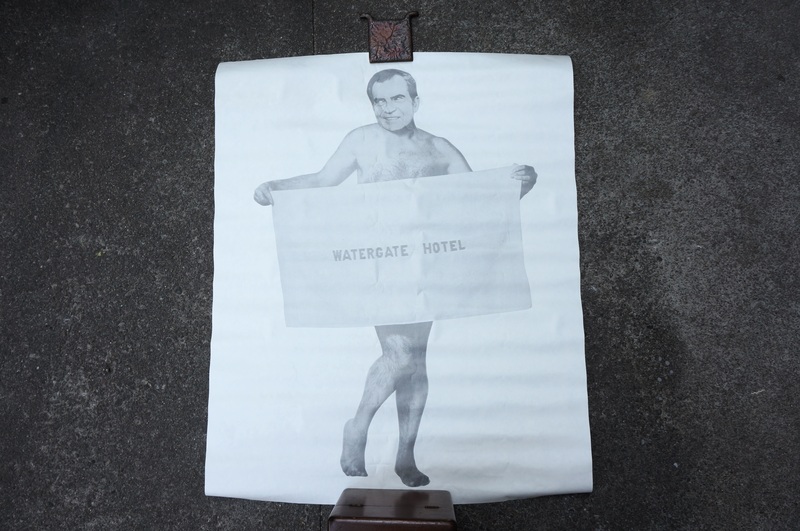 … and a vintage poster making fun of Richard Nixon. Let’s finish up in the Plateau! I came across this spot while biking around on a Friday. I was able to salvage some old tools and miscellaneous, yard saleable bric-a-bric from the bags. Also some nunchuks, which are apparently illegal in Canada. My best find here was probably this old knife. My research tells me that it’s a WWII sailor’s rigging knife. 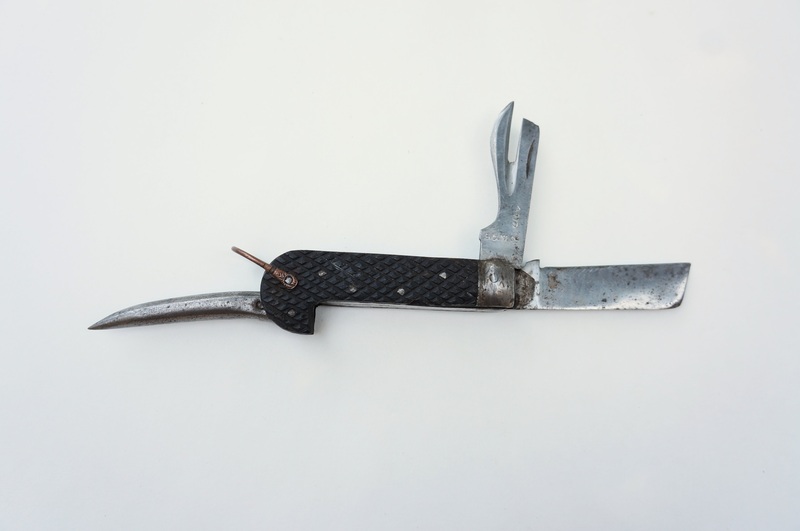 The pick tool is called a marlinspike, and is used for working with ropes and knots. The blade is of the “sheepsfoot” variety, which means that it’s blunt at the end to prevent injuries. The can opener was apparently a standard tool on any government issued knife. 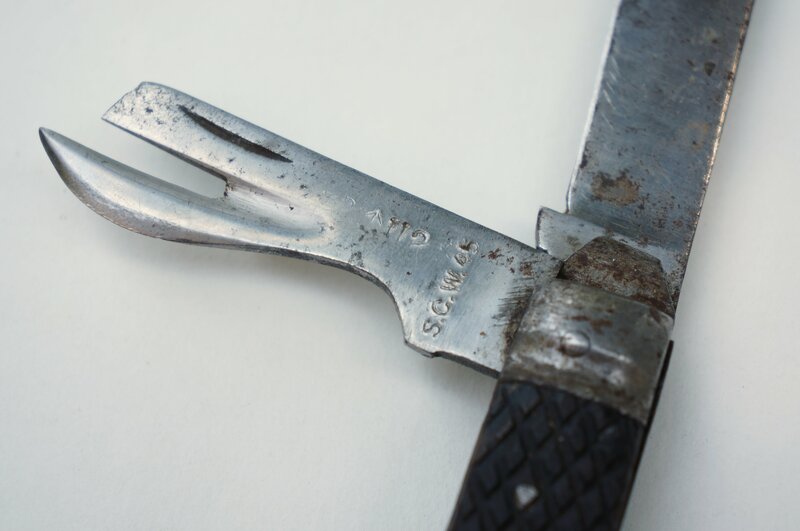 Apparently the little broad arrow stamp means that the knife was issued by the British War Department. I think though that Canada, and other Commonwealth countries also used that mark. The knife is probably worth around 50$. Last but not least is this old frame with a secret. I found it about a month ago in the Plateau and put it out at my most recent yard sale. 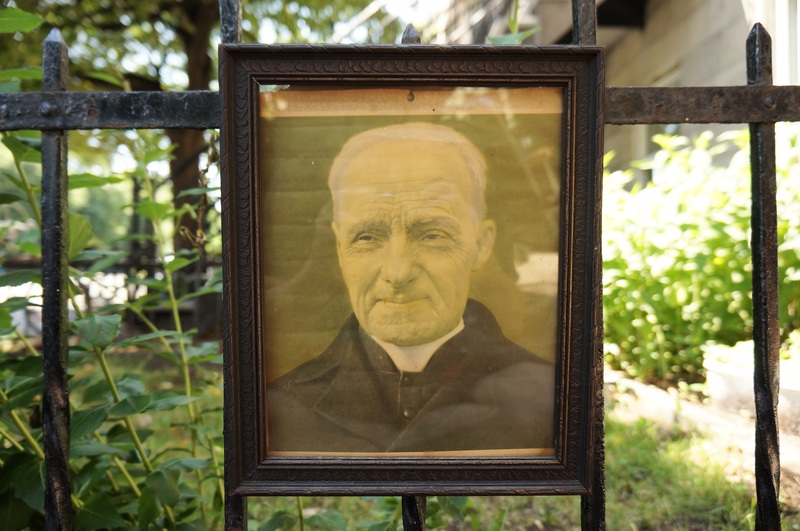 The image is of Brother André, but it’s not a particularly fancy one – just something cut out from a magazine. It went unsold. At the end of the day I took a closer look at the frame and checked the back. Sometimes, especially among poor folk frames would be re-used and the old contents left inside. 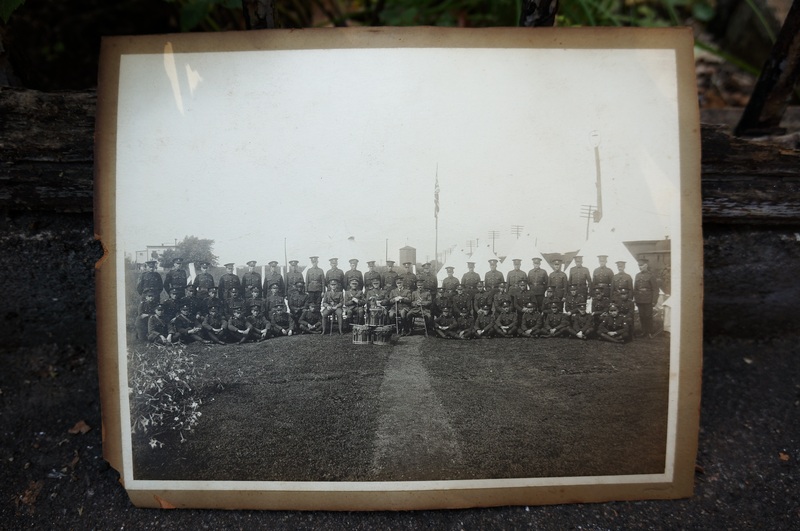 As it turned out there was something else inside – this old military group photo. I’m guessing it’s from WWII, but I can’t say for sure. 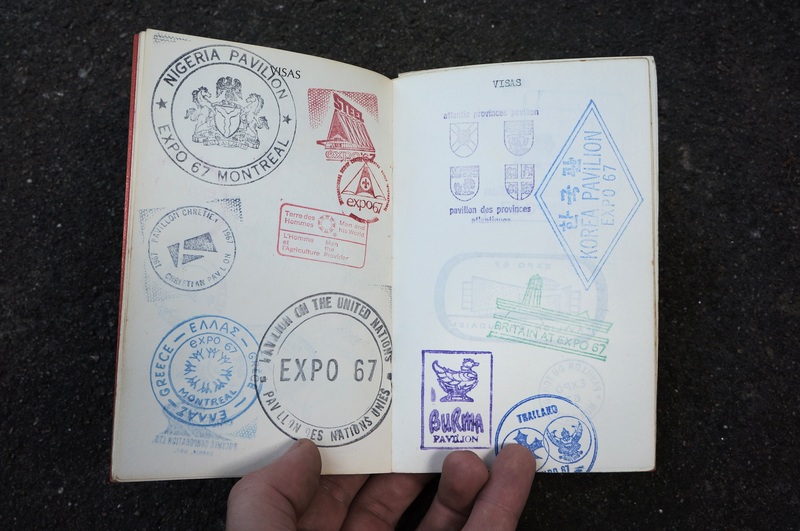 If you know when and where it might have been taken let us know in the comments! The photo is fairly detailed, so click on it and zoom in if you want a better look. It’s no Declaration of Independence, but it’s still pretty cool! All things considered this was a decent sales period. For a while it was looking like there was going to be a postal strike, so I put my stores on vacation to make sure there weren’t going to be any issues with delivery. Fortunately the parties involved seem to have worked things out, at least for now. I actually sold a few things while on vacation mode too, and because the lockout hadn’t actually begun I was able to ship them out normally. Otherwise, I was also busy with the move, meaning I didn’t have much time to list new items. I’m starting to get back into the rhythm of things again though. 1. 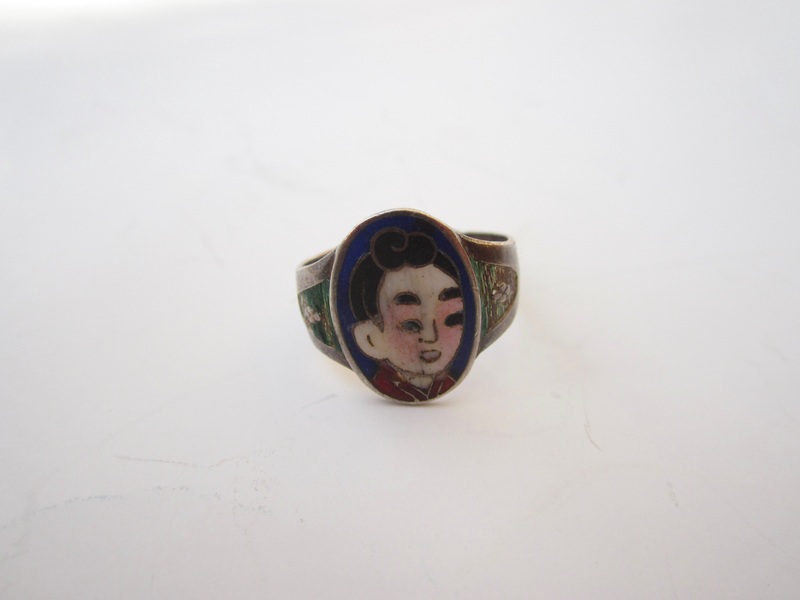 Antique Chinese silver ring: On eBay for 65$. Found this January in TMR. 2. 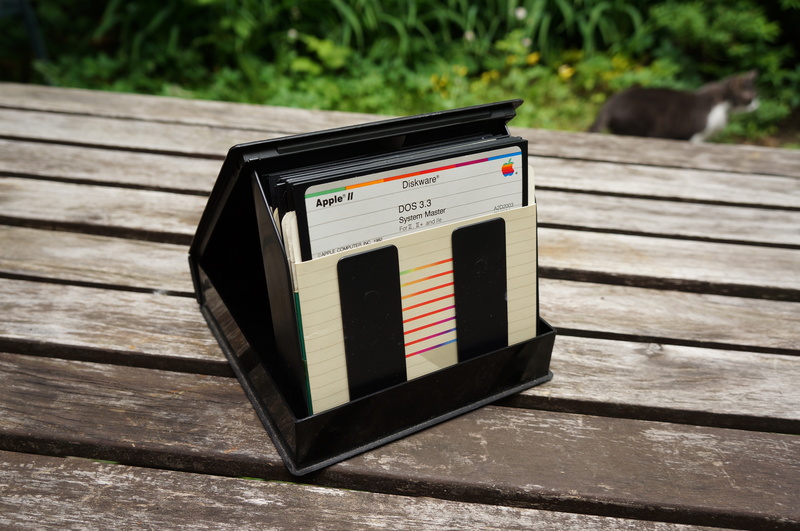 Lot of 13 5.25″ floppies, some of which held old Apple software: On eBay for 40$. I was kind of surprised, but not really when I looked these up and found out they were worth selling. There’s a healthy market for vintage computer stuff. I can’t remember where I found them though. 3. 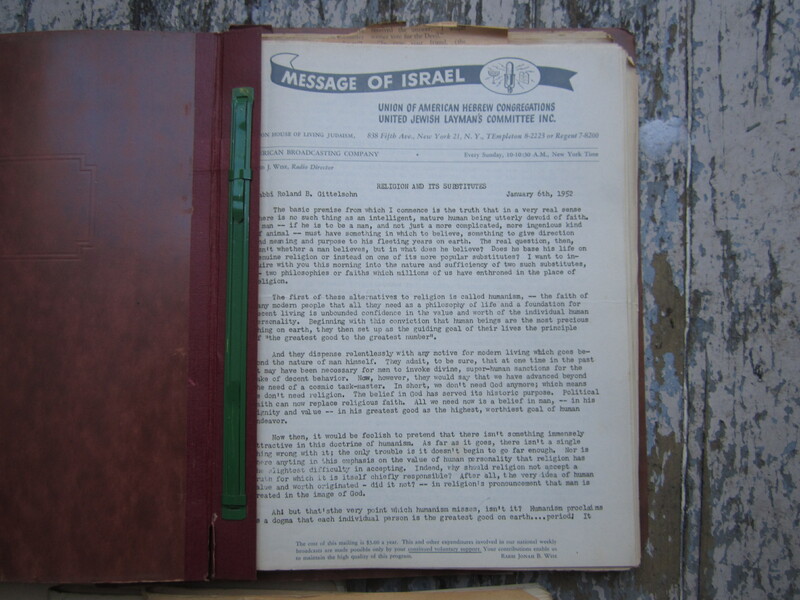 “Message of Israel” 1950s radio transcripts: On eBay for 45$. I had a box full of these, and I’m glad they sold before I moved. Found in Westmount last summer. 4. 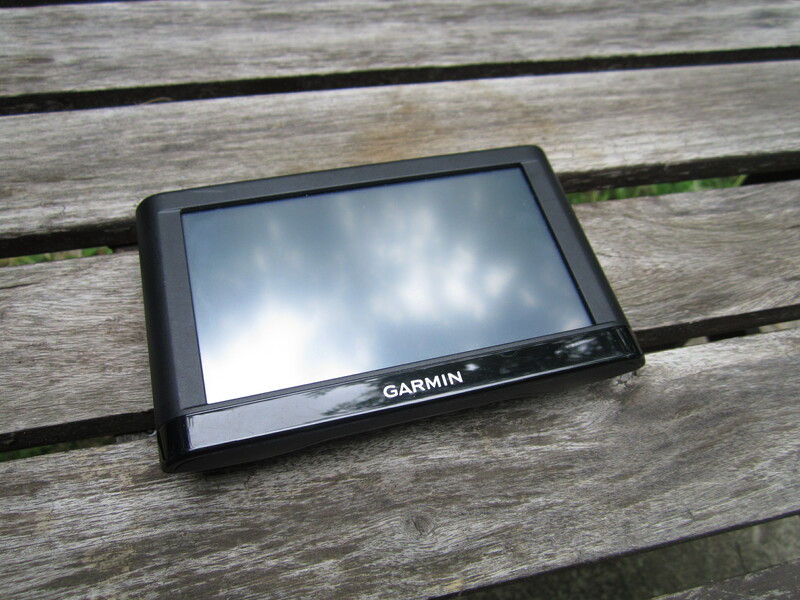 Garmin Nuvi GPS: On eBay for 50$. 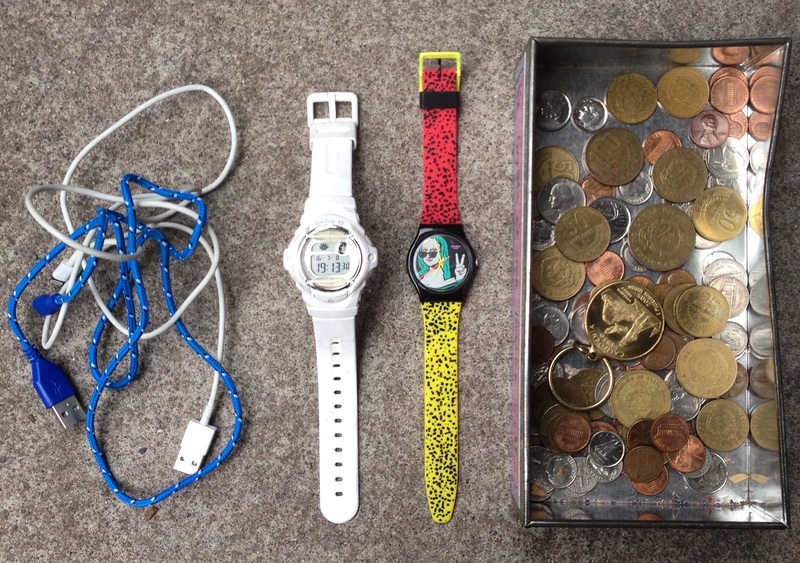 Just the device was included – I had none of the chargers or accessories. Found in February in TMR. 5. Original iPad: On Kijiji for 80$. 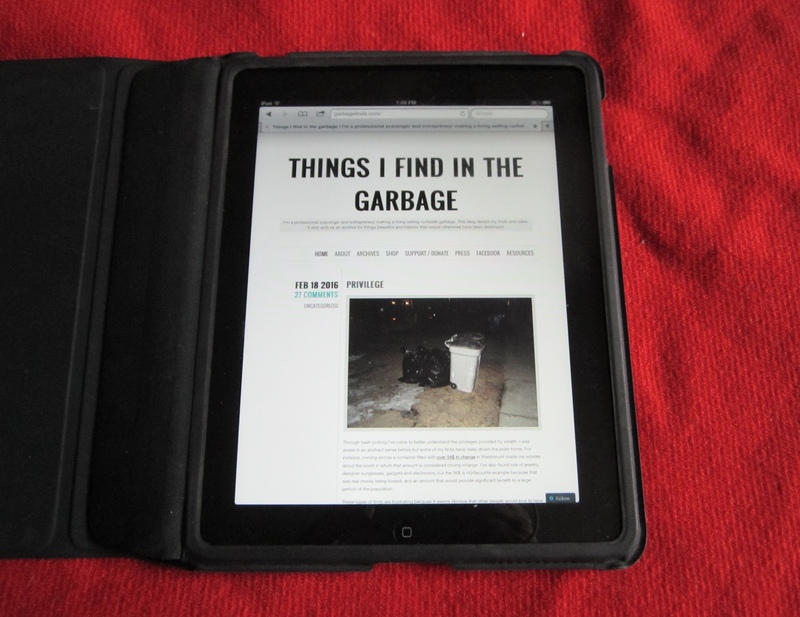 This is the second working iPad I’ve found in my trash picking career. Both have turned up in the last six months. Found on McGill move-out day. 6. 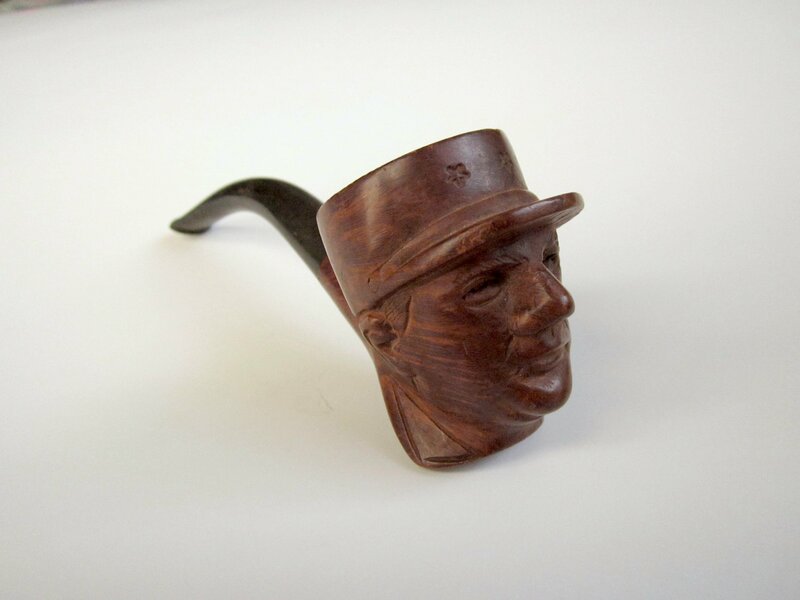 Charles de Gaulle tobacco pipe: On eBay for 70$. Found November 2015 in TMR. 7. 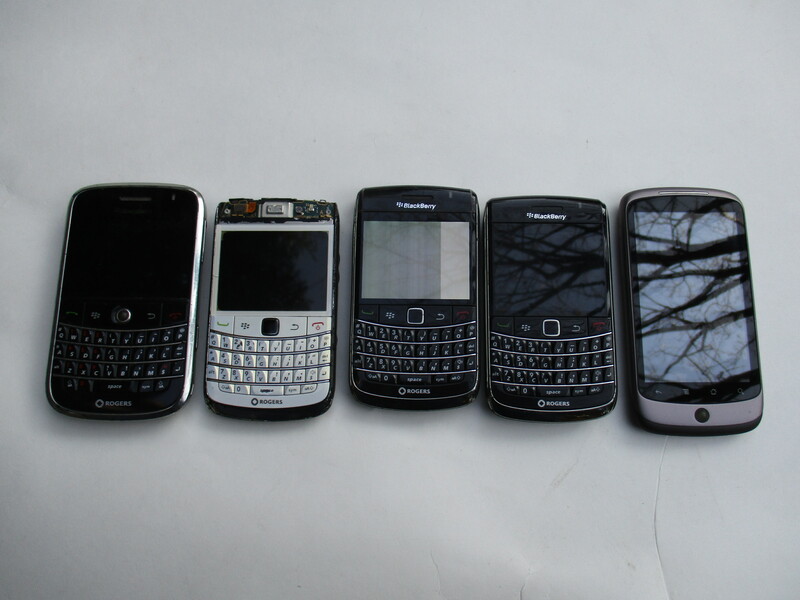 Lot of old broken cellphones, mostly Blackberries: On eBay for 25$. These phones were just barely worth selling on eBay. Anything older is best recycled at this point, though the really old stuff (especially the old brick phones) can have some serious collectors value. 8. 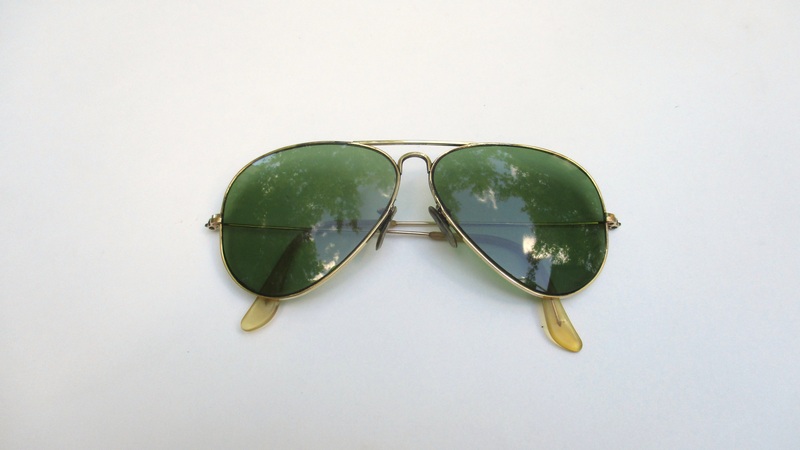 Vintage Ray-Bans, 12k gold filled: On eBay for 130$. These took a while to sell but that was mostly my own doing. I wanted to feel out of the market, so I started with a very high price and eventually worked my way down until they finally sold. The market for anything Ray-Ban related, especially the vintage stuff is pretty good! Found last summer in Hampstead. 9. 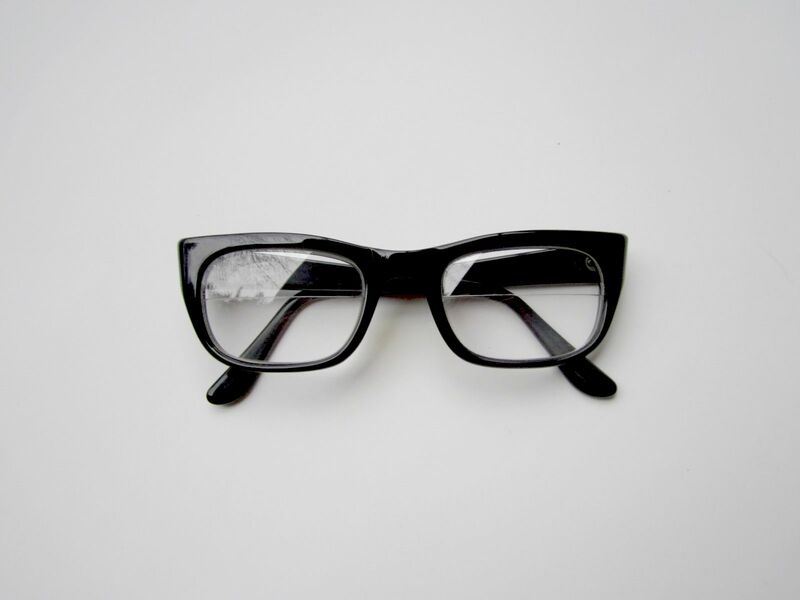 Martin Wells eyeglass frames: On eBay for 25$. These would have sold for more, but there was a small crack on one of the arms. 10. Vintage 1960s Silva compass (“Sun Watch”): On eBay for 30$. 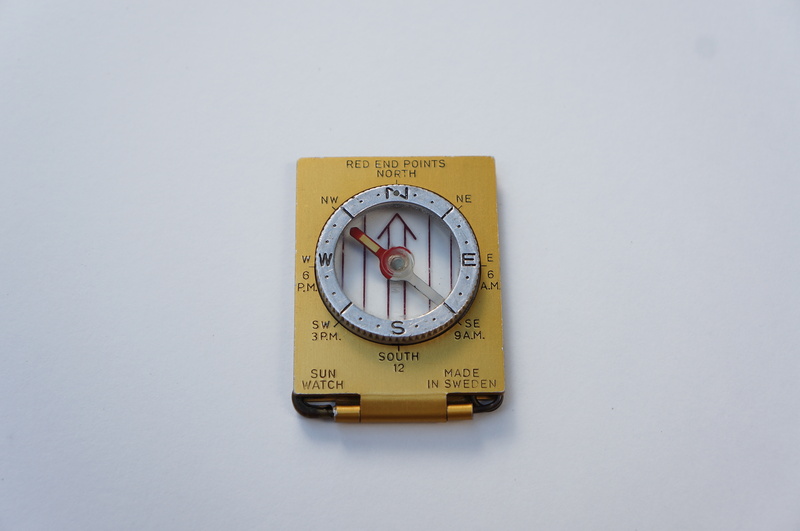 I listed this compass last week and it sold within a day. Found not far from my old place in the Plateau. 11. 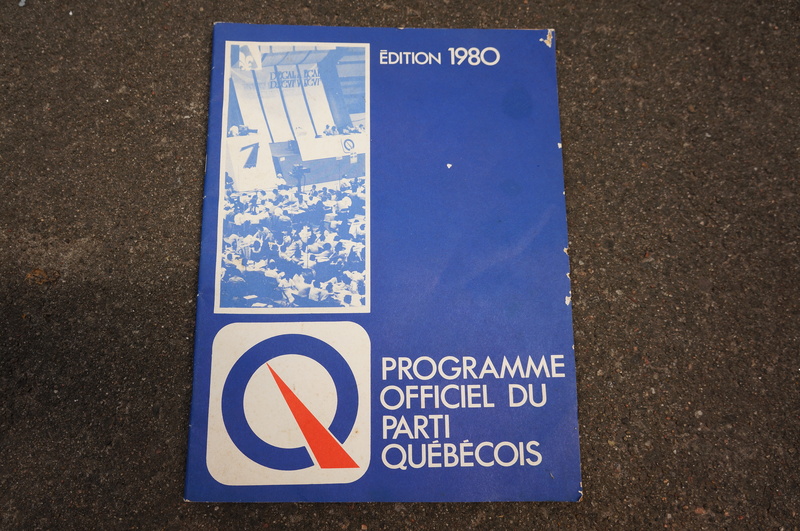 Programme Officiel de Parti Quebecois, 1980: On eBay for 20$. I found this on Thursday, listed it on Friday and sold it on Saturday. 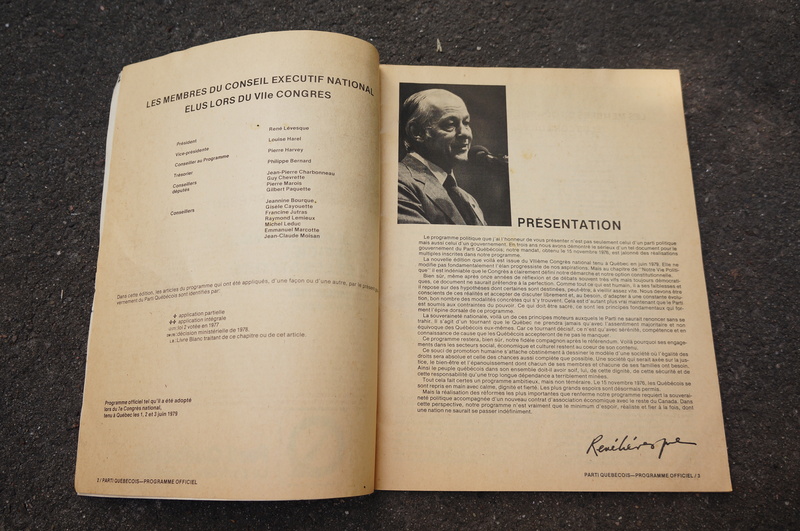 It included an introduction by René Lévesque, the founder of the Parti Quebecois and Premier of Quebec from 1976-1985. Found in Outremont. 12. Yard sale: 330$. It was my first one in over a month, and the first at my new place. It went pretty well all in all, though I’ll have to find some folding tables for future sales. Some better signage would also help. 13. Magazine lot: to a friend for 100$. These included some of the vintage Vogues I found a while back, as well as some old Playboys I found in the Plateau. She intends to use them for collages. Total: 1010$, 13980$ since the new year. I’m on pace to make around 25k in 2016. Just to clarify for any new readers, the stated prices factor in the cost of shipping but not eBay / PayPal fees, which come to around 10% of the total transaction. The move went well and now it’s time to get organized. My main goal is to develop an effective storage setup for all my junk while also ensuring a separation of my work and relaxation spaces. I have things mostly done, I just need to put up a curtain (to serve as a room divider) and find a solid Ikea-style storage shelf. Maybe I’ll post some pictures when it’s all done! I haven’t done much picking in the last month or so, and I more or less missed out on Moving Day. However, I’m starting to get into the rhythm again. The weather’s been nice so I’ve been biking a lot, and I came across most of these finds while cruising around my new hood. Here’s an unusual find. It looks to be a WWII-era life preserver. On one of pillows is printed “The Col. P.P. 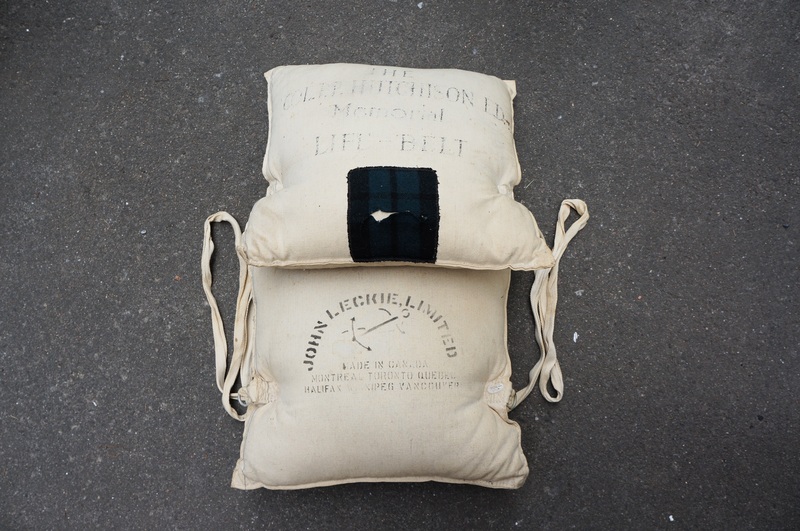 Hutchison Memorial Life-Belt.” I did some research on the Colonel and found that someone by the same (or at least a very similar) name and title wrote a book about the history of the Black Watch … in 1962. That man was still very much alive when this life preserver was made, and it seems odd that he would be memorialized with a “life-belt” while still kicking. Maybe it’s a long forgotten inside joke. I noticed this much later, but multiple people signed the back of one of the pillows. Unfortunately the names are all faded and hard to read. The only name I could make out was Ogilvy. 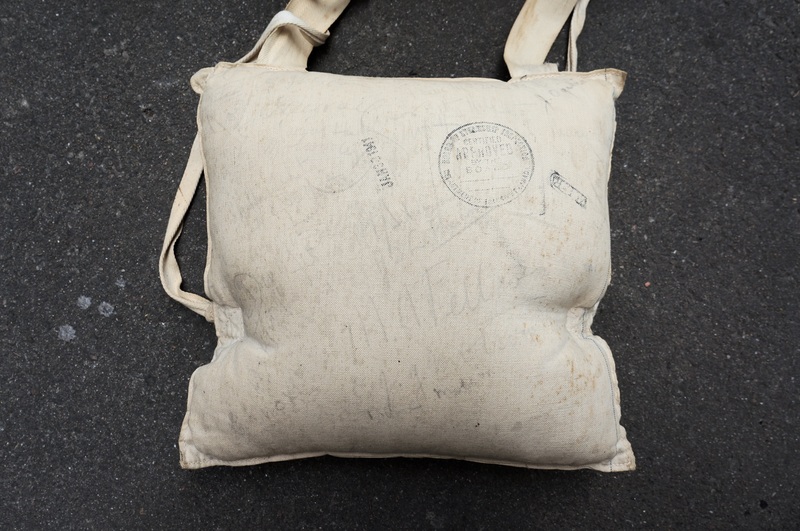 This side of the pillow is also stamped with a date: January 30 1941. Up the road I found a collection of perfumes that look to date from the 50s or 60s. 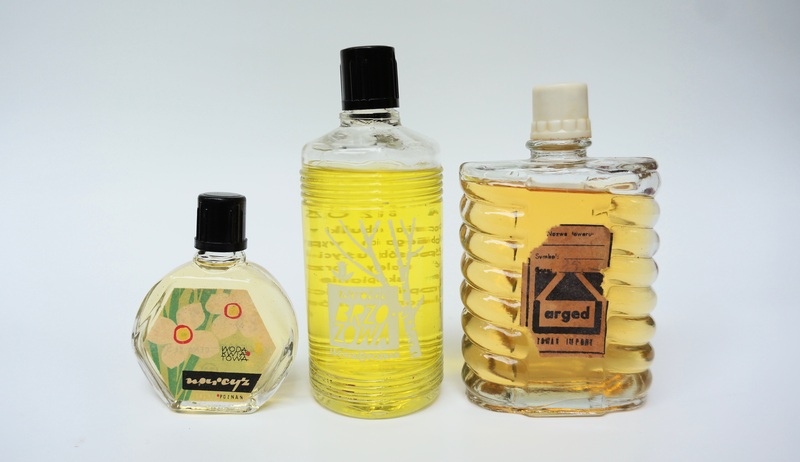 My favourites were these old Polish scents. I find Polish stuff on a semi-regular basis, which is I think is because a lot of them emigrated here after the war. The same spot also provided this old toy. 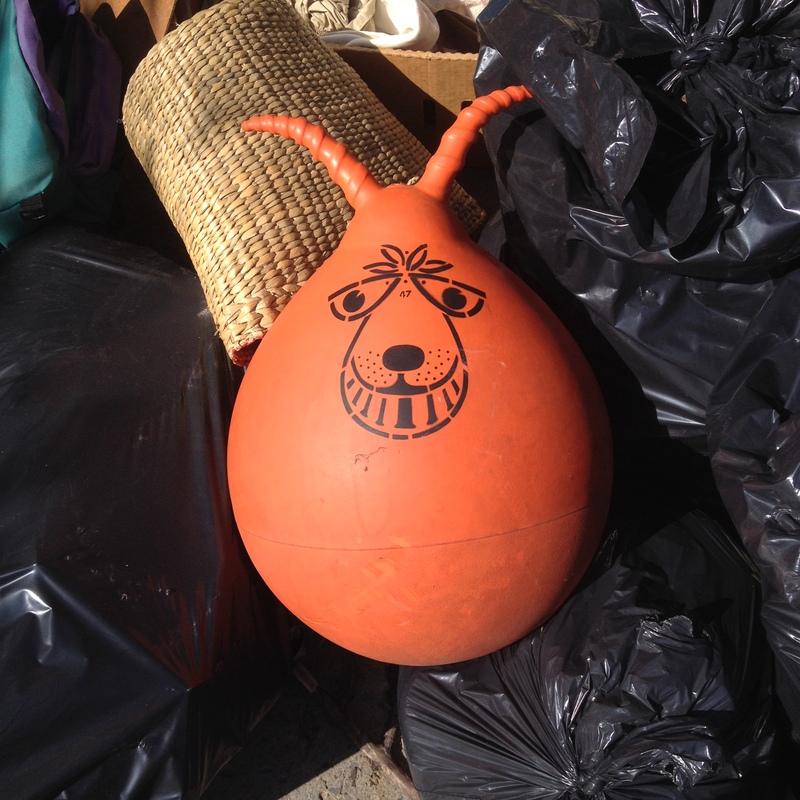 It’s called a space hopper, though they seem to go by many different names. These were apparently very popular in the 70s and 80s. I took it home because old toys can be very valuable, but after doing some research there doesn’t look to be much of a market for them, at least for now. I left it on the curb, and I think someone else took it home. 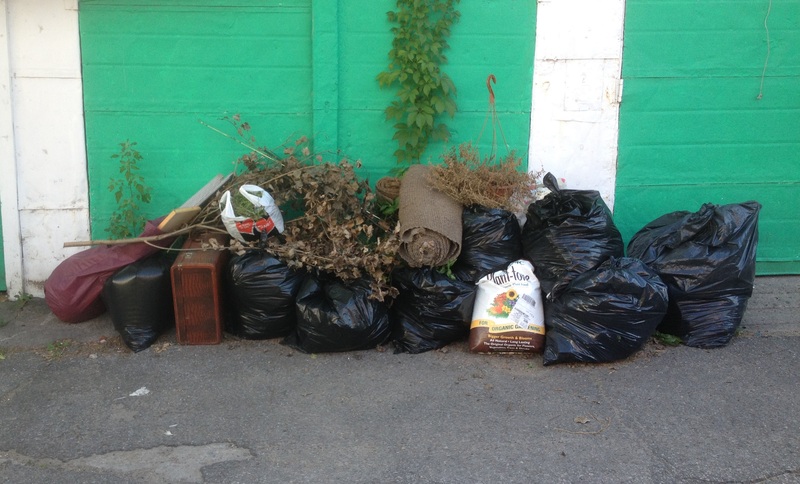 I went on a little bike ride last Friday and salvaged this stuff from some black trash bags. I figured it was mostly a nice yard sale / change haul, but it turns out the Swatch is kind of collectible. 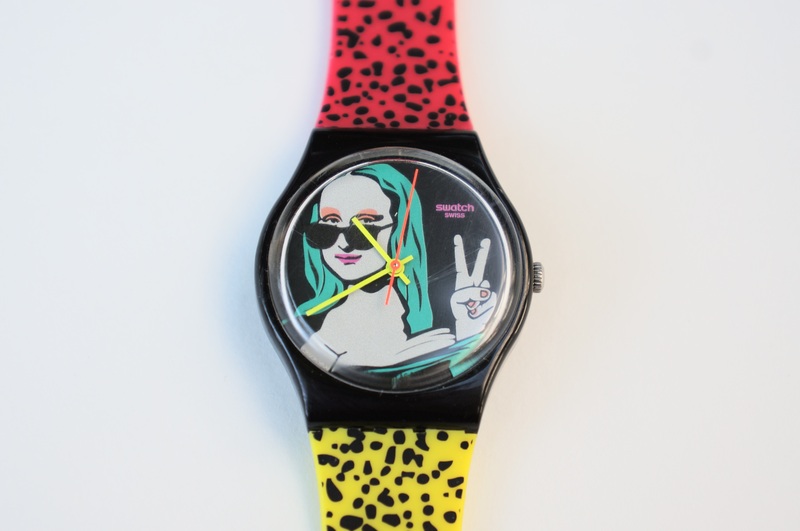 The design, which features the Mona Lisa wearing sunglasses and giving a peace sign was sold only at the Swatch store in the Louvre. There’s only one listing for this watch on eBay and the price is 186 US dollars (or around 240 Canadian dollars). The seller owned four, two of which have sold. Theirs are brand new, but I expect I’ll be able to sell mine for a nice sum as well. I listed it at 150 Canadian dollars, and as usual I’ll let you know how it goes. 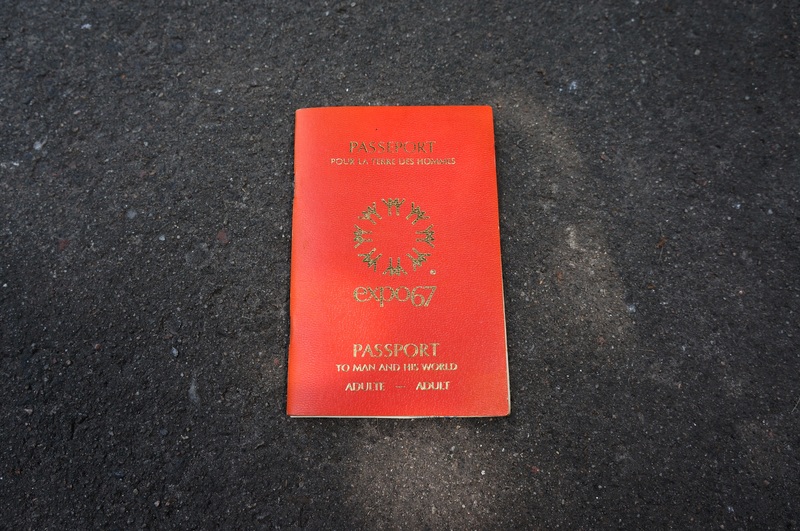 On a related note, it’s very satisfying to casually find valuable stuff while biking. I bike mostly for fun and exercise at this point, so it’s a bonus when I end up getting paid to do it! 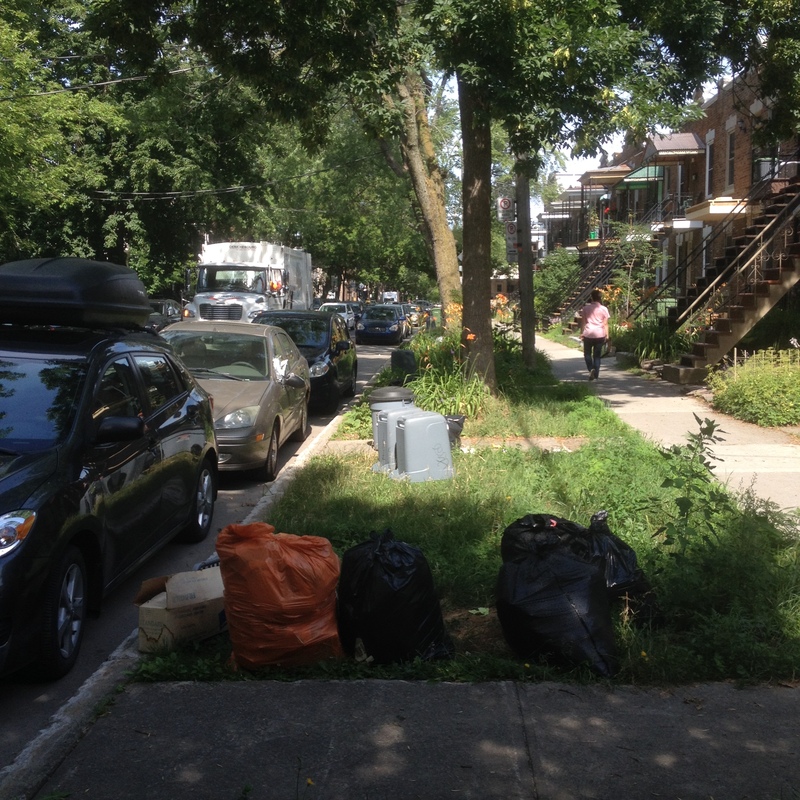 Just this morning I took a bike ride in Outremont and came across this collection of electronics. 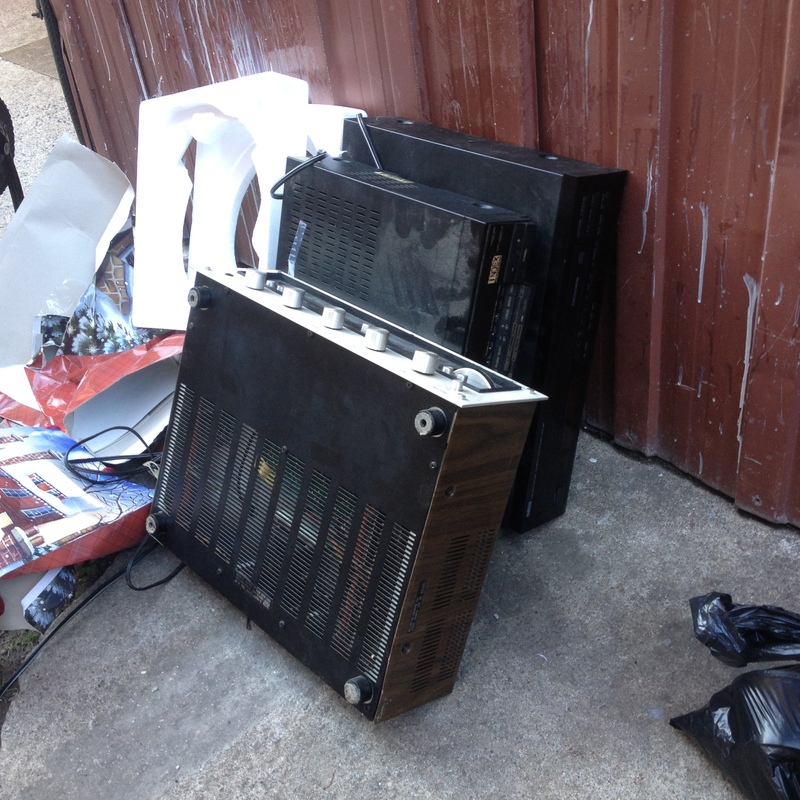 I snagged the receiver, leaving the CD and VHS players for other pickers. It wasn’t much fun carrying the thing home though. I’d guess that it weighs around 25 pounds, and I had to carry it in my arms because it didn’t fit in my backpack. It’s a Marantz Model 2225. 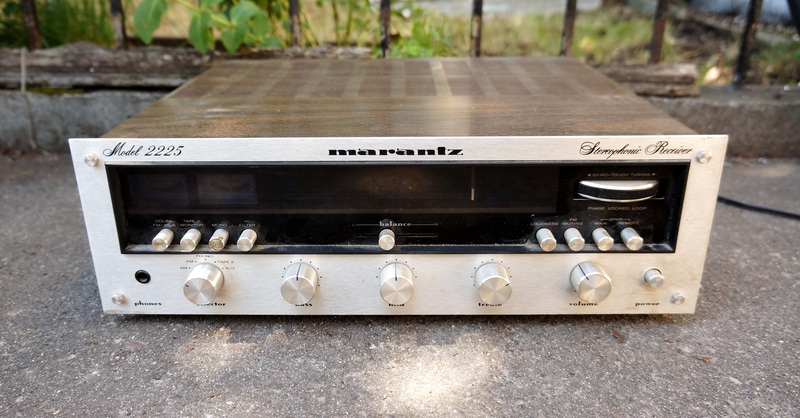 I knew it was worth something right away because Marantz is one of the more desirable vintage audio brands. Even when they’re broken they can be sold for parts. Still, I was surprised to see how much this model actually goes for. Serviced, fully functional 2225s have recently sold for as much as 550$, while a non-functioning unit sold for around 175$. I haven’t fully tested this one yet, but it does turns on (unlike the one that sold for 175$) and is in nice cosmetic condition. On the other hand most of the bulbs are dead, though I think those are easy enough to replace. I’d guess that this receiver is worth 200-250$ as is, making it a very nice get regardless! 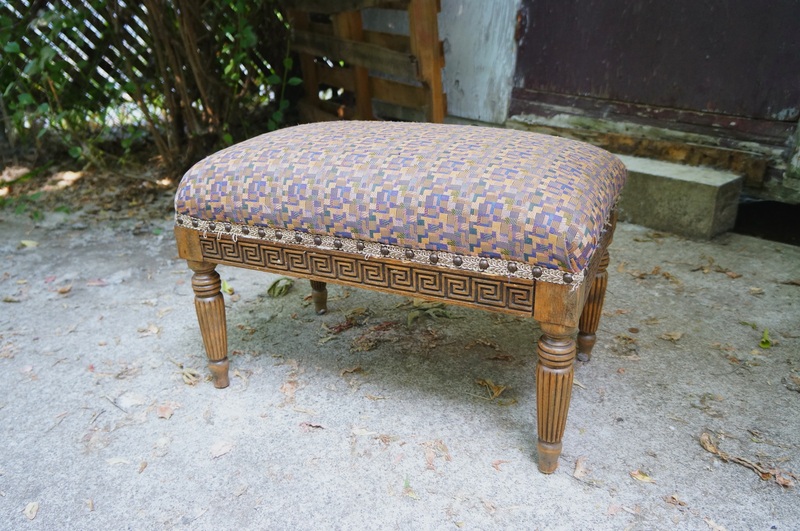 I otherwise saved a nice vintage footstool. A cool greek key pattern is carved into the wood. Unfortunately my roommate’s cat has taken to clawing at the fabric, but I’m there to shoo her away more often than not. I hope to do a yard sale at my new place this weekend. I don’t know if I’ll do another post before then, so check my FB page for updates. Otherwise, you can email me if you want details!